I know these weeds too well. In the Netherlands, they are known under the name 'Burn Nettle' and grow everywhere and anywhere. They can grow up to 2 yards high and are perennials. I can not imagine, there would be one person who has not literally ran in to them. The zig-zag shaped outer rim of the leaves, as well as the stem, have tiny little needles. 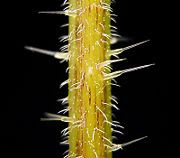 Slightly brushing against them, leaves you with tiny little itching and burning bumps. It usually does not last very long, but can be highly unpleasant. Should you happen to have an encounter with them, apply some vinegar on the burning skin. That will ease it almost instantly. The leaves and stem of the stinging nettle plant, a stalk-like plant found in the U.S., Canada and Europe. Tea, capsule, tablet, tincture, extract or whole leaf; capsules, up to 1,300 mg daily; tea, 1 cup, three times a day; tincture, 1 ml to 4 ml three times a day; nettle leaf applied directly to the skin. Reduces inflammation, aches and pains of OA. The antimicrobial, antioxidant, analgesic and anti-ulcer properties of stinging nettle have been studied in Germany and Turkey. Stinging nettle is high in potassium, calcium and magnesium and may be helpful for gout. A German study shows that hox alpha, a new extract of stinging nettle leaf, contains an anti-inflammatory substance, that suppressed several cytokines in inflammatory joint diseases. In a Turkish study, stinging nettle extract showed antimicrobial effects against nine micro-organisms, as well as anti-ulcer and analgesic activity. Stinging nettle root extract, combined with sabal fruit extract, was shown to be superior to placebo for treating prostate hyperplasia (a precancerous condition), and was well tolerated. 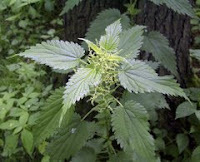 Stinging Nettle is also known to purify the blood and it is said, rolling around in nettles reduces inflammations, caused by Rheumatoid Arthritis and Arthritis related diseases. I do not advice that, unless you are really desperate! Nettles are an excellent source for iron, vitamins, minerals and protein. They can be used to make tea and as a vegetable. Beware to wear gloves picking them and putting them in pot, or pan. After being boiled or cooked, the sting is gone. There are hundreds of recipes for cooking with nettles. If you are interested, I suggest doing a search on the Internet. You will be surprised to find a recipe, that suits your taste. Sometimes, we find ourselves in a situation, where we don't know what to do, or how to go about it. I suggest, besides prayer, doing a search in the Bible. You will be surprised to find scripture, that gives guidance and suits your needs.